AIP National President 2012 – 2014. 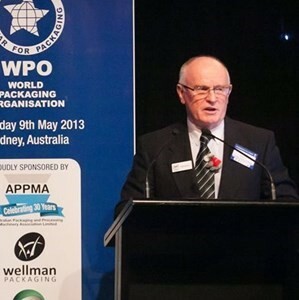 Author of numerous packaging articles in the Australian Industry press. 2006 Australian Packaging Awards – Silver Award. Packaging Magazine Evolution Awards Category winner – Beverage, 2007. Co-writer of the AFGC Retail Ready Packaging: A Focus on Shelf ready Packaging. An Industry Toolkit. Led a project to move all Golden Circle cartons/shippers to Shelf Ready formats to meet the demands of the two main retailers in 2004, 2004 and 2006. The outcome of this project was a leading program in Australia at the time. These formats are still in use today. Amcor Packaging Solutions use Shelf Ready designs from this project in their promotional material as benchmarks of successful Shelf Ready designs that meet retailer requirements. Establish a central testing laboratory in Bangkok, Thailand, to serve present and future operational sites manufacturing infant milk powder products. The core purpose was to maintain a control on raw materials and co-packed products originating from New Zealand and Europe. Implemented efficient thermal processes for canned products. Commissioned a new Spring Water processing and filling lines for PET bottling and Tetra Pak aseptic packs valued at AUS$1.3 million. Commissioned a new Scholle Aseptic Bag in box processing and filling line, valued at AUS$900,000.